Ask Engadget: What laptop specs should I look for if I use a monitor? This reader is in search of a Windows 10 machine that will work seamlessly with an external monitor and a mouse-and-keyboard setup. 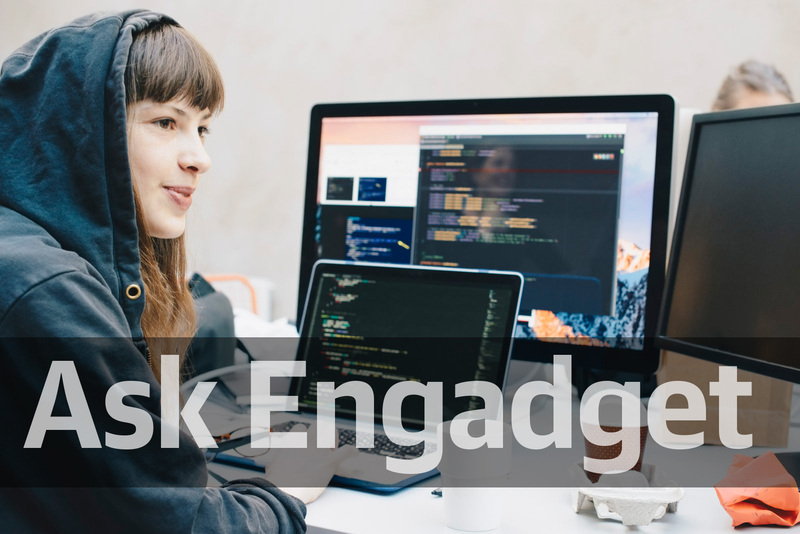 We truly value the time and detail you all spend in responding to questions from your fellow tech-obsessed commenters, which is why we've decided to bring back the much-missed "Ask Engadget" column. This week's question asks how to select a new laptop for a user who relies on an external monitor set-up. Weigh in with your advice in the comments -- and feel free to send your own questions along to ask@engadget.com! I'm shopping for a new Windows 10 laptop or 2-in-1. Given the small size screen, I'd like to connect it to a large monitor, keyboard and mouse on my desk. Can you discuss things a buyer should consider to make this work well? I'm thinking of concerns such as matching screen resolution, touchscreens, single-cable connection and ports (e.g., USB 3.0, USB-C, SD card reader, laptop power, charging). That's a good, but surprisingly complicated question! A lot will depend on the resolution of the external screen and your needs. If it's 4K or anything above 1080p, then you'll need to consider discrete graphics from AMD or NVIDIA. Even with a fairly powerful GPU like the NVIDIA GTX 1070 Max-Q, if you're running both the laptop screen and a 4K external monitor in a dual-screen configuration, expect your machine's fans to kick in and things to slow down compared to running the laptop screen alone. I've experienced this personally when testing the Gigabyte Aero 15X. Pushing around all those extra pixels obviously taxes the GPU a lot more. If the new machine is for content creation or gaming as opposed to business or entertainment usage, that would also dictate whether or not you need a separate GPU (which does increase the price of the laptop, obviously). Microsoft has finally made it fairly seamless to mix multiple screen resolutions, so I wouldn't worry too much about matching resolutions. I'm running a 1080p laptop and 4K screen, and it all works fine; I can move windows around without getting unreadable, tiny text on the 4K screen, like Windows used to do. The choice of a touchscreen again depends on what you're using it for -- it's mostly good for graphics work with a stylus or on a convertible like the Surface Book when you're using it as a tablet, in my opinion. On a regular laptop doing regular tasks, I'd guess that most folks never touch their screens, because it simply slows you down. At the high end, if you want to power a fancy 10-bit, HDR external monitor for apps like Photoshop or Premiere, you'll need to spend a mint on a laptop with NVIDIA or AMD pro graphics (the Quadro and Fire Pro models). That's because, for some weird reason, consumer-level graphics displays don't support 10-bit (one billion) colors for apps like Photoshop. So you'd need a model like the MSI WS63 VR, which has NVIDIA Quadro P4000 graphics. For gaming, graphics or with a 4K screen, I'd try to find a laptop with discrete graphics (NVIDIA, AMD) and a DisplayPort connector, which has superior bandwidth to HDMI and supports up to 144 Hz (240 Hz for next-gen) refresh rates and NVIDIA G-Sync/AMD Free Sync. That should also work with the upcoming wave of HDR monitors. Laptops with USB-C ports should also support the DisplayPort standard, but you might need an adapter. If the laptop is for basic, dual-screen business, streaming entertainment or web usage, an HDMI port and integrated graphics (Intel HD Graphics 400 at a minimum, but preferably better) will do the job. Finally, to save money on a monitor for streaming entertainment or basic dual-screen computing (not gaming or graphics), you might want to consider just getting a TV instead of a monitor as a second screen. That will get you perks like 4K HDR and a very large display, which most monitors don't have.